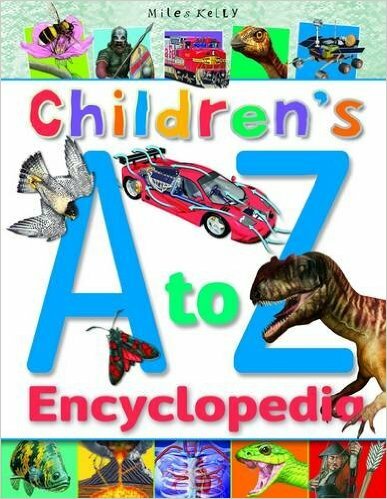 Description Children's A to Z Encyclopedia is an extensive illustrated encyclopedia for 5+ year olds. Covering a huge variety of topics, the alphabetic approach helps children find the information they want quickly. Each page presents a new subject illustrated by photos and artwork, with captions and annotations to help children understand more difficult concepts. Throughout the book there are fact boxes, vocabulary panels, activities and experiments, while cartoons inject fun into learning, and cross-references make researching a topic far easier. There is everything a child could possibly need in their quest for knowledge in this one fantastic book.